If you have 10 days in Colombia you can visit two or three areas of the country, thanks to low cost airfares that can jet you quickly between different regions. Enjoy the country's dynamic urban centers, get out in the countryside for hikes, visit a coffee plantation and sunbathe on the Caribbean coast, these are just a few of the things you can pack in during your 10-day stay. 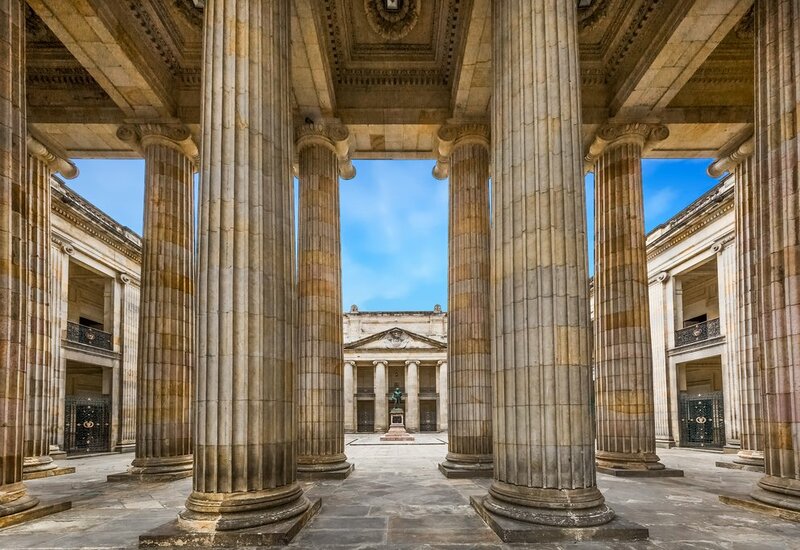 Start the trip in Colombia's capital visiting historic colonial sites. This is a good itinerary for those who want a fast-paced trip packed with lots of sights and activities. Arrive in Bogotá and spend two days in the Colombian capital. Visit the historic and cultural highlights of the city, including a trip to Cerro de Monserrate, the famous Gold Museum, and the Botero Museum. On Day 3, travel catch a flight to Pereira in the Coffee Triangle and spend two days exploring the area while staying at a working coffee farm. 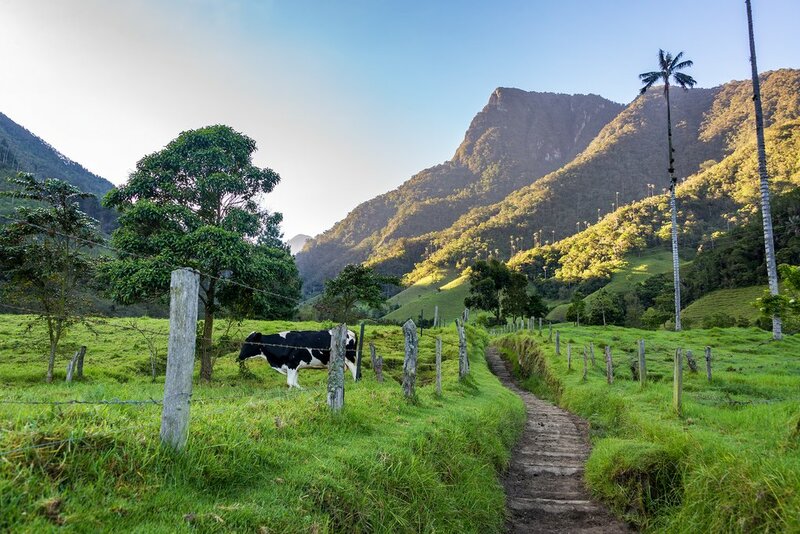 You'll take a guided hike in the Valle de Cocora, spend some time in the historic town of Salento, and take a driving tour of the region visiting small towns and fruit stands along the way. From here, transfer to the up-and-coming city of Medellín. Explore the neighborhoods, take a ride the city's gondola, and enjoy a day-trip to the lakeside town of Guatapé where you can climb La Piedra rock for 360-degree views over the region. 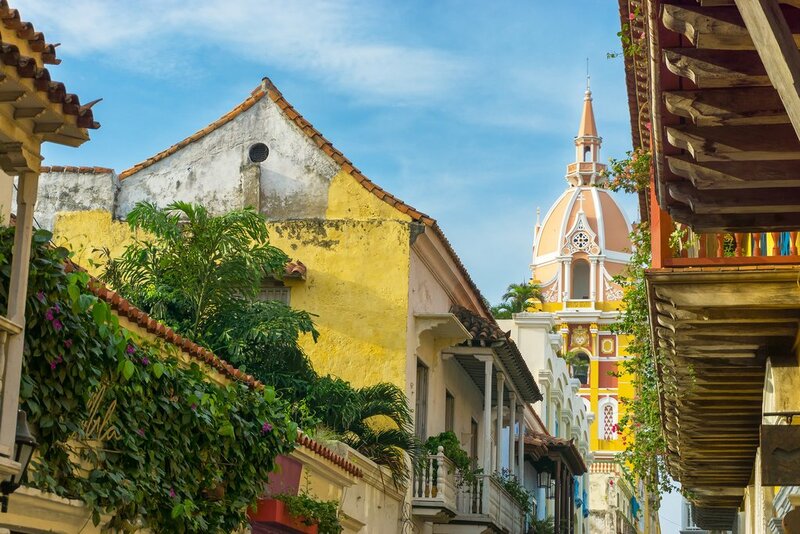 On the morning of Day 8, you'll take a flight to Cartagena and spend two days getting to know this beautiful inner-walled city by the Caribbean Sea, founded in the 16th century. One of the beautiful beaches within Tayrona National Park. If you prefer a slower holiday, you'll need to cut out a destination or two from the above. Start this itinerary by flying into Medellín and spend three days in and around the city. This is a good amount of time to get familiar with this beautiful city and its varied attractions and experiences. Some options to consider will include museums, a walking tour, and paragliding. You'll also want to linger at Medellín's excellent restaurants, sampling locals foods, fruits, and beverages. Try to work into your visit a day trip to Guatapé or, if you're more sporty, a day of whitewater rafting. On Day 4 of your trip, take a flight up to Santa Marta to experience Tayrona Park at the foot of the Sierra Nevada de Santa Marta — the highest coastal mountain in the world. You'll finish the trip with three nights further east along the Caribbean coast at the inner-walled city of Cartagena, founded in the 16th-century. An easy alternative to this itinerary would be to fly into Bogotá and spend your first three days before flying north to Santa Marta. You'll just need to decide which city will be your destination. Medellín is the more relaxed of the two places while Bogotá delivers the bigger punch in terms of museums and history. End the trip with two nights in Cartagena's Old Town. Those who want to focus their time on Colombia's best cities should consider this urban itinerary. First, fly into Bogotá and see the sights of the buzzing capital for two days. On Day 3, you'll fly to Medellín, nicknamed Colombia's second city, and relax with two scenic day-trips including a drive to a coffee farm in the Andes. 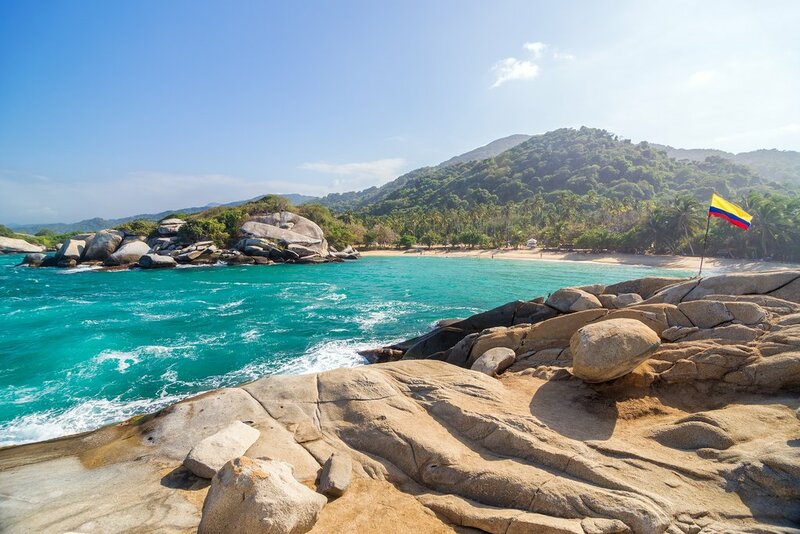 From here, you'll fly to Santa Marta on the Caribbean coast to explore the oldest city in Latin America before you connect to Tayrona National Park, where you can spend a full day hiking, birdwatching, and swimming on this beautiful stretch of coastline. On Day 8, travel to Cartagena, where you will have one full day to explore the sites of Old Town. Relax before your flight home on Day 10. 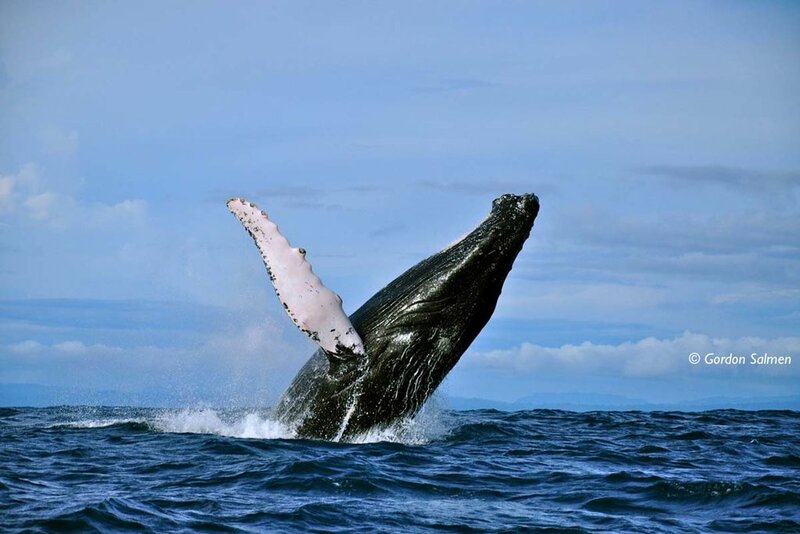 Make whale watching on the Pacific Coast part of your itinerary. If you are looking to get off-the-beaten-path, consider an itinerary that includes El Chocó (the Pacific Coast), one of the more remote parts of the country. This trip starts with a flight into Medellín for a two-day exploration of the city and surrounding area. On day 3 of your trip, fly to Bahía Solano and stay at an eco-lodge for extraordinary lush surroundings with unusual flora and fauna. You'll then fly to Nuqui, a town of around 8100 people on the Pacific Coast. You'll spend three days in the area, experiencing a variety of activities, including whale watching and visits to indigenous communities. You can also hike in the rainforest, see incredible waterfalls and take a dip in hot water springs. On Day 9, fly back to Medellín, where you can spend the remaining days on this trip exploring this exciting city. 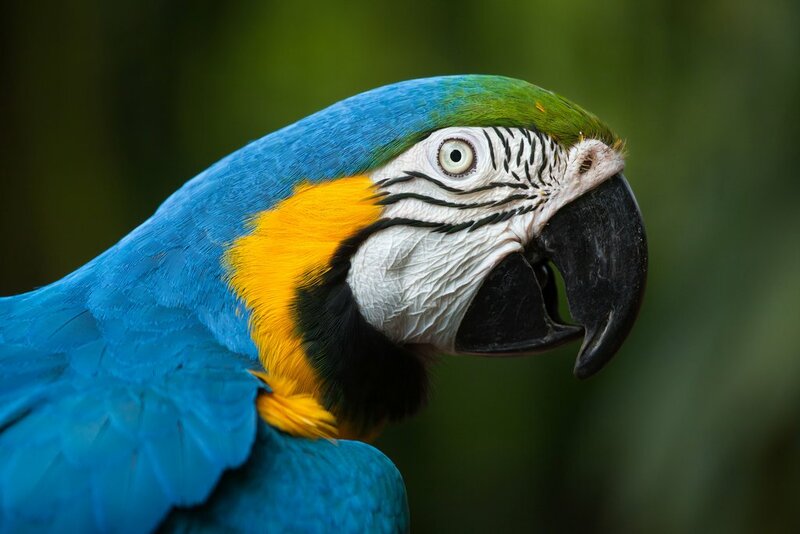 Macaws are easily spotted during a trip to the Amazon. This itinerary is ideal for rugged nature lovers who also want time in two of Colombia's cultural, world-class cities. After exploring Bogotá for two days, board a plane an visit Colombia's Amazon region. Once in the Amazon, you'll spend four nights in Leticia, from where you can make day trips into the rainforest. Places to visit in this area include Tabatinga (Leticia's sister town in Brazil), the Parque Ecológico Mundo Amazónico, and Reserva Natural Tanimboca. Within these reserves, you can walk in the rainforest and spot wildlife. You'll also boat through the borders of Peru and Brazil — keep an eye out for pink dolphins in these parts. On Day 7 of your trip, fly north to the Caribbean coast where you'll stay in the UNESCO-listed city of Cartagena for three nights. From here, enjoy time to explore the 16th-century sites, art galleries, seafood restaurants, and rooftop bars. On Day 9, take a boat ride in the turquoise sea to the Rosario Islands for a relaxing day on the beach before departing Colombia the next morning. For more trip ideas, check out all of our 10-day tours and itineraries. Nathalie organised a wonderful trip for us. She was very responsive and everything was organised perfectly. We were very happy with all of the hotels, guides and activities. Nathalie called us at the beginning and end of the trip to make sure everything was ok so it was a very personalised experience. We loved Colombia, especially our time in the Amazon and will definitely go back.